The Verona Project included many unique and complex aspects, including a Single Point Urban Interchange. Imagine, ten years of your engineering career solely dedicated to one highway project. After staff from the Wisconsin Department of Transportation (WisDOT) and the Strand Associates, Inc.® design team spent ten years on the design of a project as significant as the USH 18/151 (Verona Road) and USH 12/14 (Madison Beltline) Stage 1 reconstruction in Madison, Wisconsin, it is almost hard to imagine its completion. More than 5,000 plan sheets; nearly 1,500 pages of technical specifications. Laydown these various sheets and pages end to end and they’d extend the length of the Madison Beltline from Whitney Way to Seminole Highway. Literally thousands of hours spent managing the intricate details of designing a project that has defined my career, and the careers of many others, at WisDOT and the Strand Associates, Inc. team; a team that included other consultant partners of AECOM Technical Services; CORRE, Inc.; Cotter Consulting; Ken Saiki Design; KL Engineering, Inc.; Soils and Engineering Services, Inc.; and Transmart Technologies, Inc. The story of the Verona Road Project is one about building and fostering relationships in the community, of incredible partnerships, perseverance, and satisfaction. It’s about the public and private engineering sectors seamlessly working together toward one common goal: To produce an end-result so satisfying it goes beyond merely being built under budget and on-time, though those two things are very, very important. This project was and is personal … for a lot of people, including me and the people who provided those thousands of hours towards the success of this project. Stage 1 of the Verona Road Project is an incredible success story in a number of ways, including extensive community involvement, environmental assessment, and innovative solutions to some very complex challenges. As an integral part of the transportation network, carrying 65,000-110,000 vehicles per day and more than $13 billion of freight annually, Verona Road and the Beltline link key economic centers of northeastern Iowa, Madison, and the Fox Valley to the National Highway System. It is also an important employee commuter corridor for major area businesses such as EPIC Systems, University of Wisconsin-Madison, Lands’ End, and University of Wisconsin Hospital and Clinics, which all rely on Verona Road and the Beltline as a major artery for their transportation needs. Reported in 2010, there were 393 businesses located within a one-half-mile radius of the Verona Road Project corridor, employing more than 6,500 workers, with an estimated $2.2 billion in sales revenue. Since that report, the area has continued to grow with congestion levels in this urban corridor causing stifling inefficiencies, safety, and reliability issues for transporting both goods and people. 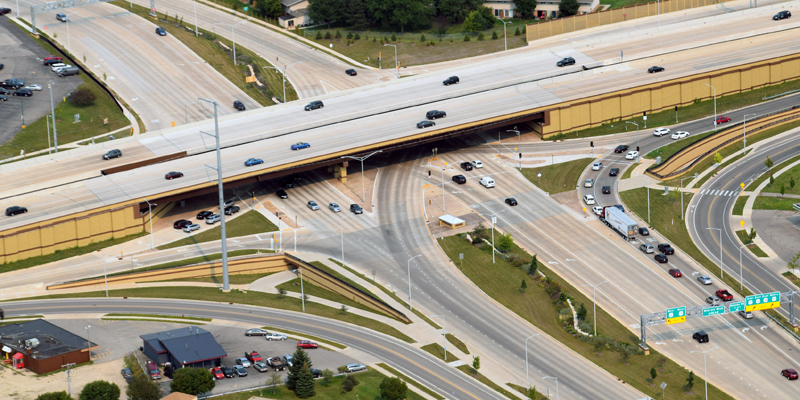 WisDOT supported a comprehensive design solution that balanced the transportation needs and supported the local businesses and community, with a focus on safety. Traffic modeling during design indicated that more than 10,400 days- worth (250,000 hours) of traveler delay will be eliminated through this project annually. WisDOT’s Verona Road and Beltline reconstruction is an exemplary cost conscious, successfully planned and executed project that was forged through its local partnerships with the community. It will provide long lasting benefits as a pivotal epicenter to the continued economic growth of the Madison Metropolitan area, Wisconsin, and beyond. 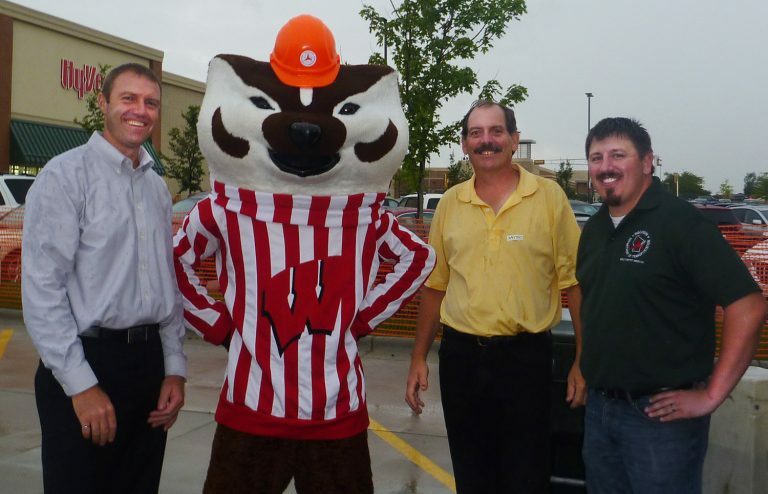 Strand’s team is very proud to have the opportunity to assist WisDOT on this once-a-career project. It has been a joy to watch the many people go the extra mile for those whose livelihood depends on this portion of Verona Road and the Beltline. Like I wrote earlier, this was personal for a lot of us. The last decade flew by, measured by the many intricate details of this project designed with the ultimate goal of making life easier for those who use the interchange. It makes me proud to be a civil engineer. Joe Bunker, PE is a transportation engineer and project manager at Strand Associates Inc. and has more than 22 years of experience with the firm. The Verona Road Project received the ACEC WI 2018 Engineering Excellence Grand Award. Joe is an active member of the ACEC WI Transportation Committee and will serve as Transportation Steering Committee chair beginning July 2018. Established in 1946, Strand Associates is headquartered in Madison and has 11 offices nationwide, more than 400 employees, and has completed projects in 48 states in the U.S. In 2017. Integral project team members from Strand Associates include Elisa Becker, Jared Engelke, Luke Holman, Ryan Horst, Brett Oftedahl, Josh Pachniak, Mary Seehafer, and Alex Zwart.